Boasting comfortable four-star accommodation Ballina, Heritage Inn offers a range of different rooms for couples, families and business guests. 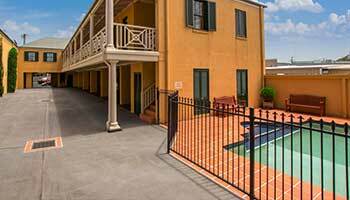 All our rooms have opening windows, are air-conditioned, and have either a balcony or courtyard. Every well equipped rooms comes standard with foxtel, large LED TVS, free Wifi and DVD players. All rooms are non smoking. 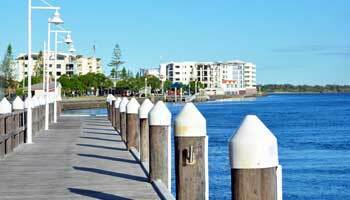 Expect the best accommodation Ballina has to offer. 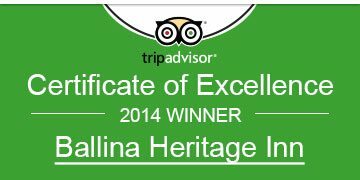 All Ballina Heritage Inn rooms have an en-suite shower and toilet and comfy queen beds; some have spa baths. There are also tea and coffee facilities, a fridge and a toaster for quick, easy meals. The motel also offers a salt-water pool, a laundry and undercover parking for 13 vehicles. The beautiful coastal town of Ballina is located in NSW’s Northern Rivers region, just 5km from the beautiful Lennox Heads and 25km from the world renowned Byron Bay. Established on the northern shores of the picturesque Richmond River in the 1840s, it is 600 km north of Sydney, and an easy drive south from Brisbane (189 km). 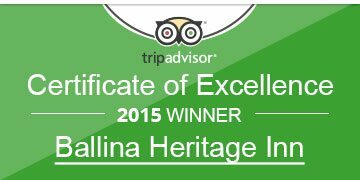 If you’re planning a trip or passing through we’d love to welcome you to the Ballina coast Heritage Inn. Are you coming to town to see one of the fantastic events that are on at the Ballina RSL? Or looking for something to do in Ballina, why not head over to the RSL for a great night out and then once you’re done we’re directly across the road so you don’t have to worry about travelling far for the best Ballina Accommodation. The local RSL club has loads of events and activities! 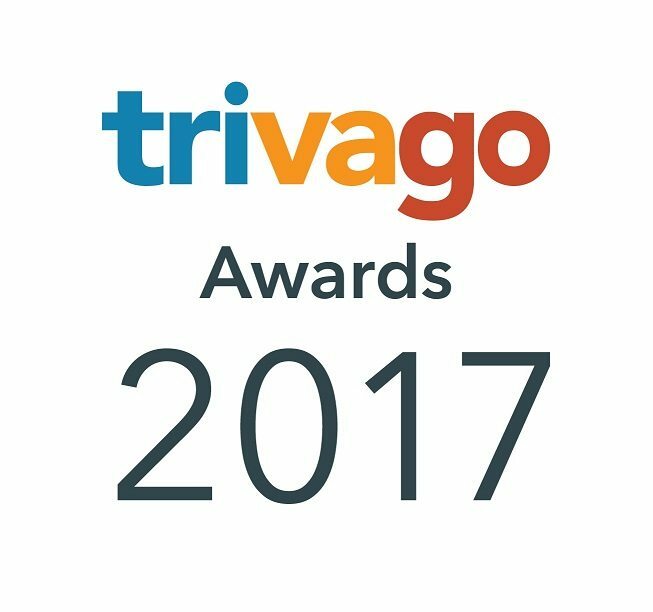 Take a look at their website to see what’s happening. Another great resource is Discover Balina, this includes everything happening in the local area! The beautiful coastal resort town of Ballina lies in the far north of New South Wales, on the coast where the awesome Richmond River flows into the Pacific Ocean. The picturesque Ballina coast town boasts more than 32 kms of pristine beaches, together with lakes, estuaries and seemingly endless waterways and crystal clear streams. Drive in from Brisbane or Sydney, or fly directly to the Ballina Byron Gateway Airport which is just five minutes drive from the motel/hotel. Of course whether you’re planning to stay awhile, or even if you’re just passing through, you’ll be looking for the best accommodation Ballina has to offer. 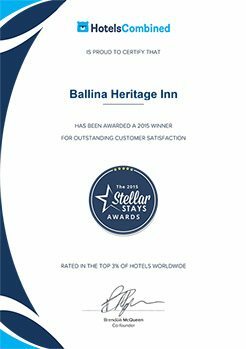 The Ballina Heritage Inn is ideally situated in the heart of the town of Ballina, opposite the award winning Ballina RSL Club. It’s within easy walking distance of a wide range of shops and restaurants, and just a block away from the ocean. Well-priced and luxurious, it offers heritage accommodation Ballina is proud of, with good old-fashioned service. 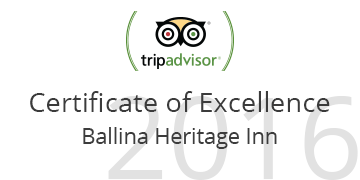 If you search for a hotel, motel or resort in Ballina using the Ballina Visitor Information Centre database, you will see that this motor inn is rated amongst the top of its class. 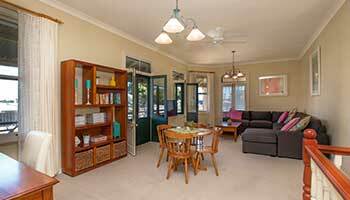 With four stars, this heritage motel Ballina offers exceptional quality and excellent prices. Without a doubt, if you are looking for accommodation on the Ballina coast, you won’t go wrong when you book into our motel Ballina guests have come to value. Use our online booking tool to view available rooms and conveniently reserve your booking at Ballina Inn.